This is the third perfume blog in my review series but if you missed the first one and why I’m doing it then it’s available to read here and if you want to read the second one that is also by this brand you can find it here. This is the third and final one of these DKNY perfumes that I own. It’s the final one that my partner got me before I asked for a different perfume and brand a few years ago. I remember wanting this one because the packaging would match the others and also because of it being purple. opens with a fresh burst of Mandarin, combined with the lush vibrancy of Berries and Red Delicious Apple Blossom, for a breeze of sheer optimism and excitement. Dewy Rose Petals harmoniously blend with bright Freesia and delicate Violet transporting you to a heavenly escape. Warm sun-kissed Sandalwood wrapped in elegant Orris and hypnotic Musk create an intoxicating yet weightless sensuality. The name urban violet really interests me and makes me think that this is going to be quite a rustic and heavy scent with a small touch of floral notes and, of course mainly, violet coming through. I imagined the scent would be a more sophisticated and grown up one from the original fruity tones and it doesn’t disappoint. Mandarin and berries really come through at the beginning and stay lightly on the skin after the initial burst but again like the Red one the crisp apples seem to get lost in amongst it all. The variety of flowers follow the fruity scent up but do not overwhelm the other scents that are supposed to be present making them much more enjoyable and distinct as the violet really is allowed to come through despite its softness making that a possible challenge to the creators. At the end the sandalwood is just about noticable but unlike the original it doesn’t come through and wash away all the other aromas and overwhelm the scent on the skin but it’s just noticable enough to balance the fruity and floral tones out with a hint of wood. 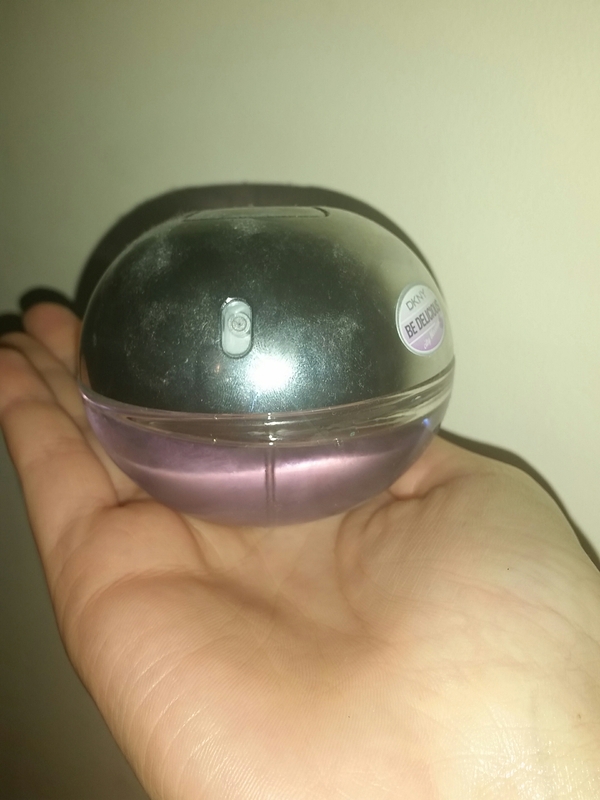 This one is my favourite of the three that I own and I find it really enjoyable to smell after putting it on as a really well balanced scent. It doesn’t last on the skin as long as some other perfumes do and as the day wears on it starts to smell a bit like parma violet sweets but I generally have the chance to apply throughout the day. I really feel like they have finally got the balance right with this part of the collection and that it can be used as a soft and subtle fragrance for going shopping or to work without initially overwhelming those around you with a pugent whiff coming from your arms.